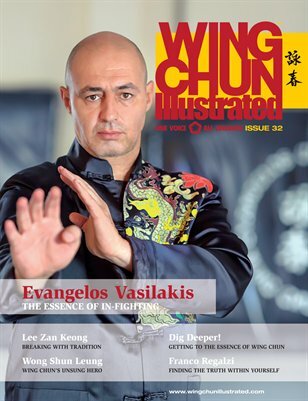 Issue 32 of WCI features Sifu Evangelos Vasilakis on the cover. Sifu Evangelos is one of the top students of Grandmaster Gary Lam and is the Head Instructor in Greece and the instructors’ trainer of Gary Lam Wing Chun in Europe. Not only does he understand the concepts of fighting, but also how to use them in life or death situations. He has proved his skills in multiple hand-to-hand combat situations and runs an elite bodyguard programme to protect VIPs, from celebrities to government officials. For a complete table of contents, please visit our website.